Here is a new pic of Sam Heughan at the Edinburgh Marathon this weekend. Sam ran the marathon as a double challenge to raise funds for Cahonas Scotland. For more information or to donate, click here. 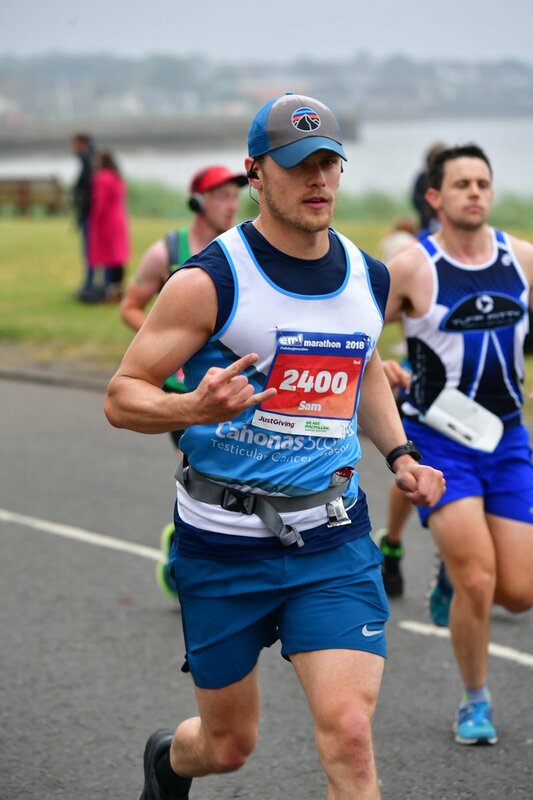 @CahonasScotland : SamHeughan hey Sam it looks like you totally “rocked” the Edinburgh Marathon…. thanks again for all your support! There’s no stopping Sam! He just keeps going on and on – Just like the Energizer Bunny! Congratulations Sam on your Marathon.